This Program will help you regain control of your dog’s behavior and elevate your status as the Leader. Your dog will be assessed, and we will design a personal program fit for you and your dog. we will help you select which tool is best for your training needs. Your dog will learn to walk loosely on a leash without pulling. All our walks are structure walks which means we are in control of the walks. This will also include some door manners training – your dog will sit and wait for you before going through any doorway. Your dog will get socialized with other dogs to see how he reacts. If he does react then we will interrupt the behavior and direct him to make different and better decisions. 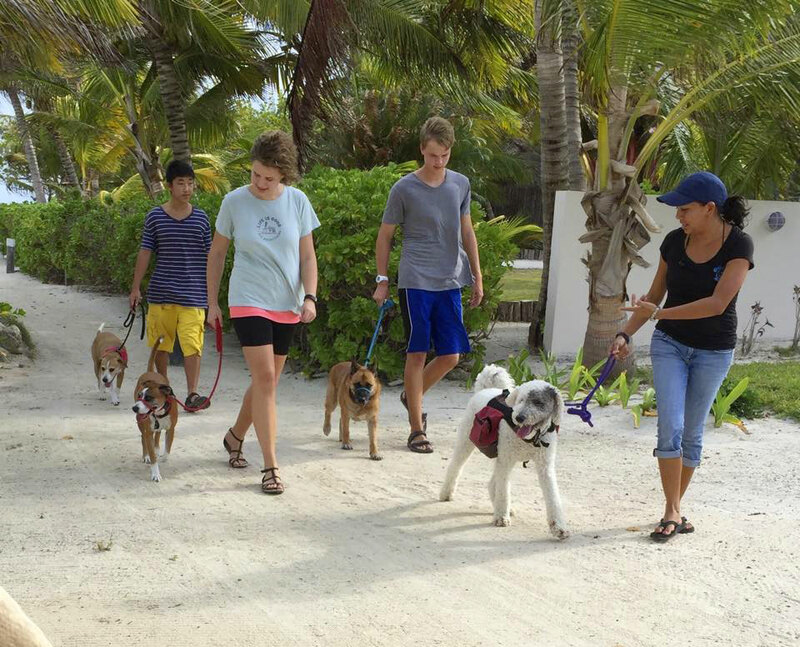 Your dog will also go on a pack walk with other dogs to work on socializing with anyone we meet on the walk. After the first day of assessment, we will follow up with conditioning sessions. In this program, we invite the owners to join along in the training .We will provide a schedule for the follow up program. We will guide you through out the program and assist and answer any questions you have. On these sessions, you can take advantage on going on walks with our trainers and doing hands on training with your dog. We will help and guide you through any threatening situations you might face on the walk, and at the same time help build your confidence to become a better leader. 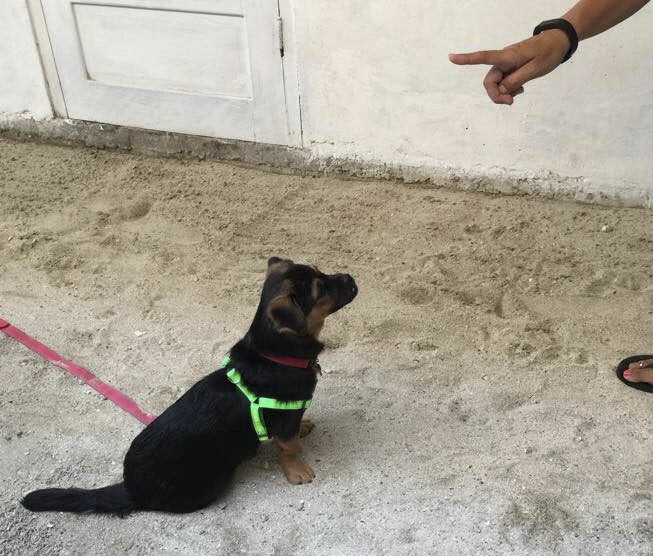 You will need to participate and make it your goal to improve your relationship with you dog through, rules, boundaries and limitations. You need to be a leader to your dog and guide it the right way. Mastering the walk is the first, most important skill to learn in order to have a balanced, stable dog. This solidifies your role as pack leader. 3 day-long sessions at our shop. You will receive a private lesson on the first day upon pickup, and another on the last day. We will teach you the right technique to give your dog a structured walk to tire the mind, so by the end of your walk, your dog will be tired both mentally and physically. This will also include some door manners training. You will learn to be the leader through structured walks and proper handling skills. Together, we will manage the dog’s state of mind to slowly cultivate new habits and better associations with other dogs. By teaching you and your dog the fundamentals of a structured walk, this will become a pleasant experience for you both. By visiting your home environment, we can better assess what issues you may encounter with your dog. We can teach you to use what’s available in your home to assist in training. What we see as an unwanted behavior in our dog is most likely an issue which may stem from stress and anxiety created by little or no leadership and guidance in the house. We will visit your home in order to assess your dog by seeing how he reacts to normal, every-day occurrences in your lives. We will discuss rules, boundaries, and limitations to help your dog understand that you are the leader of the household. By finding the right tool and proper handling for each situation, we can help your dog achieve a better state of mind and improve all types of behavior. We will teach you structured activities to practice inside and outside your home specifically designed for your dog to improve overall behavior. With practice and patience, you will see your dog begin to relax and start to view you as the leader. As your dog learns and is rewarded for his good behavior, you will see the bad habits begin to disappear. If you have any other concerns with your dog’s behavior, let us know! We can help with many issues, and can come up with a program specialized for you and your dog.